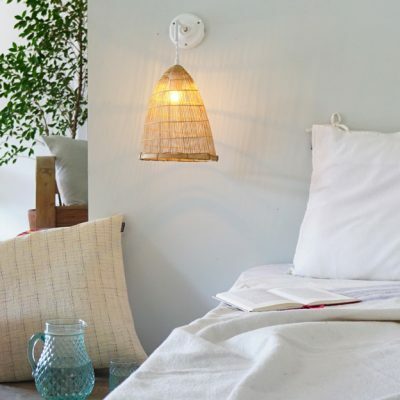 New Bamboo Wall Sconce (Cone) A beautiful handmade woven bamboo shape hanging from a minimal metal hook! Comes with a ceramic wall rose ready to install. Lenght: 30 cm Wire: White Cotton Bulb and screws not included. Recommended Bulbs: 40-60 W Max. 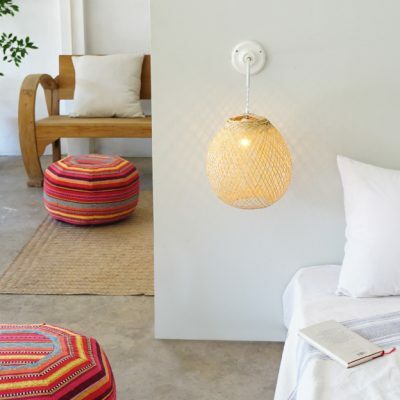 New Bamboo Wall Sconce (Globe) A beautiful handmade woven bamboo sphere hanging from a minimal metal hook! Comes with a ceramic wall rose ready to install. Lenght: 30 cm Wire: White Cotton Bulb and screws not included. Recommended Bulbs: 40-60 W Max. 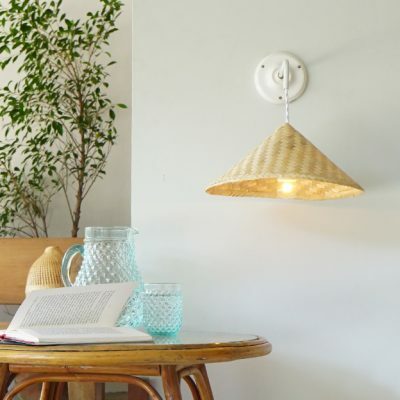 New Bamboo Wall Sconce (Viet) A beautiful handmade woven bamboo shape hanging from a minimal metal hook! Comes with a ceramic wall rose ready to install. Lenght: 30 cm Wire: White Cotton Bulb and screws not included. Recommended Bulbs: 40-60 W Max.